How do I add title, description and keywords tags to my site for SEO? How can I get listed for keyword searches? How do I verify my site with Google Webmaster and add a sitemap? 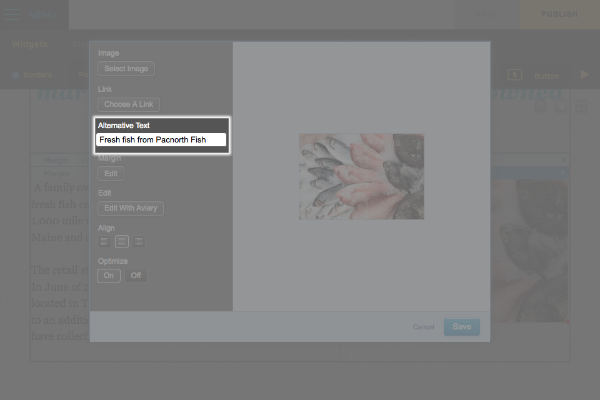 Search engines cannot "see" pictures, they read text. You can help the search engines "see" the topic of your pictures by giving them something called an "alternate attribute" or "alternate text". 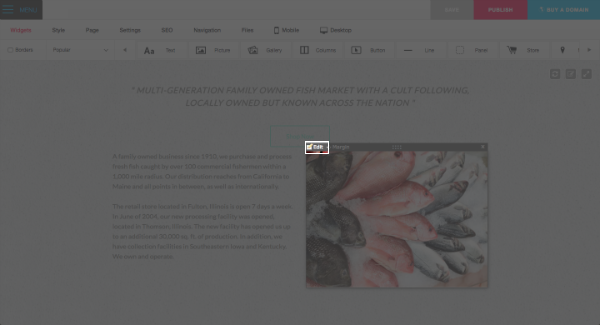 Click Edit in the top left corner of the Picture widget. Under "Alternative Text", enter your description in the box provided. When you have typed in your text, click Save. Click on the picture in your Text widget. 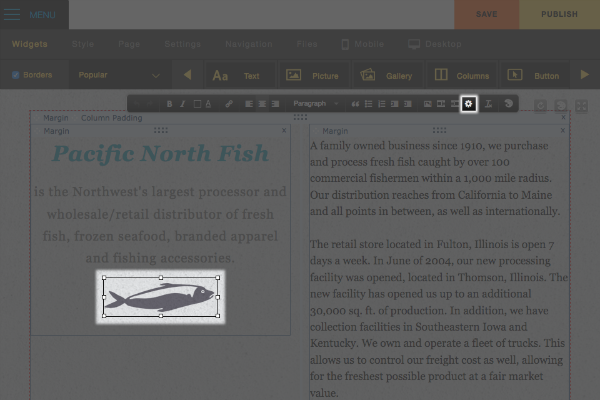 On the Text Editing Toolbar, click on the cogwheel icon (which is next to your Float options). 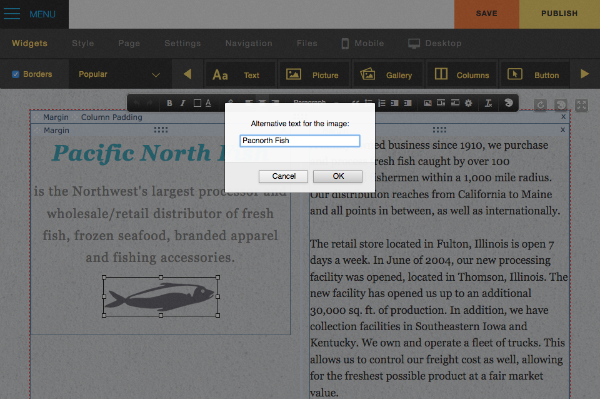 A dialog box will open up allowing you to type in the alternative text desired for your image.